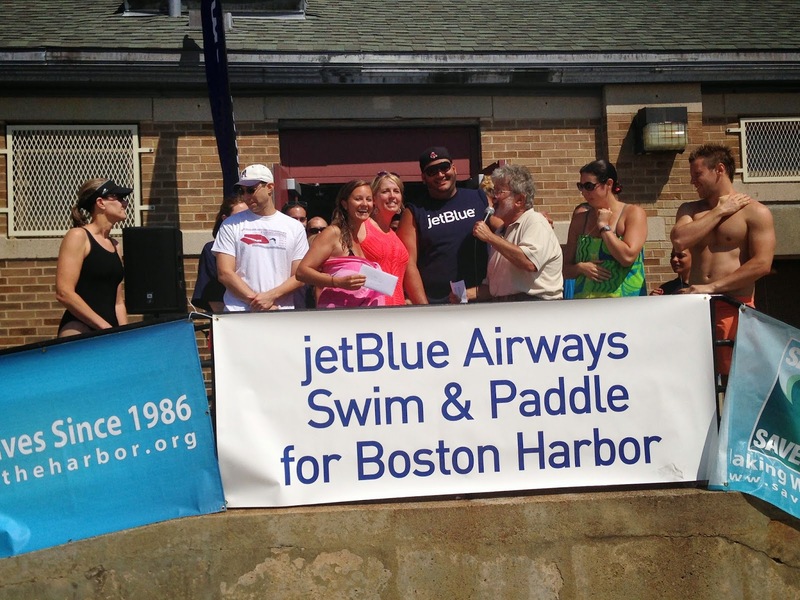 Last Saturday I had the opportunity to participate in Jet Blue's Swim and Paddle for Boston Harbor! 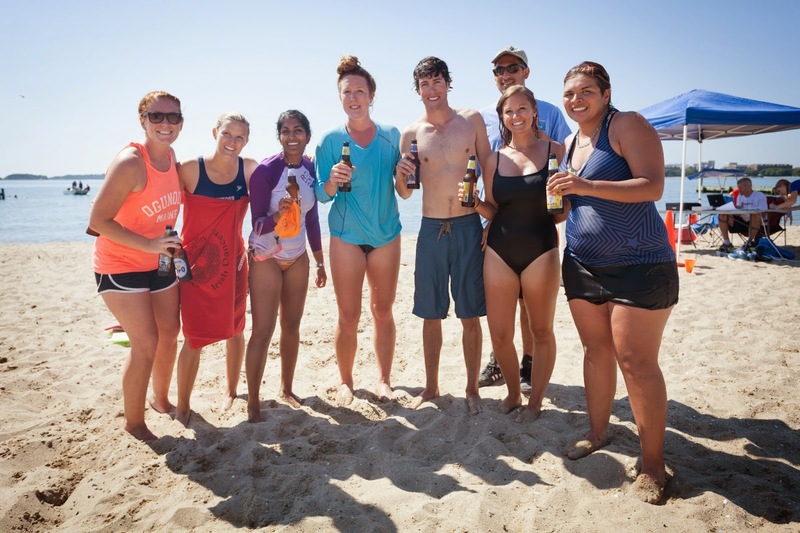 This was definitely my favorite Save the Harbor/ Save the Bay event this summer- not only was it an incredible day spent in the sun, but I accomplished two exciting and unexpected things that day! First, I completed the one mile swim (without a noodle!) Me and a few other Senior Harbor Educators decided to compete in the swim just for a fun activity and to support the event. We were prepared with goggles, rash guards, and of course, noodle boards- a kick board made of foam! Once we stepped in the water, realized how cold it was, AND realized how long the course actually was, we decided we would only swim to the first marker then turn back. However, once we reached that first marker we all decided that we should push through it and complete the whole race! We kept ourselves going by singing and thinking about the Tasty Burger and Harpoon that was waiting for us at the finish line- that certainly kept us motivated! Crossing the finish line together was a great feeling, and I am so proud of us for completing the entire mile! The second accomplishment was that I raised the most amount of money for the entire event, and won a round trip ticket on Jet Blue Airlines! With the help of my family and friends I raised a total of $510. I am so grateful for their support, and was excited to have raised so much money for such an incredible cause. 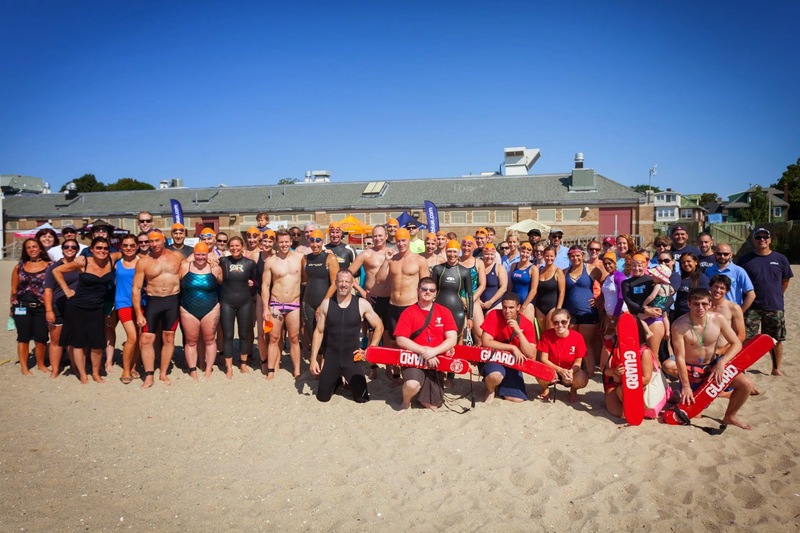 The money raised for this event went to Save the Harbor/ Save the Bay to support the fantastic youth summer programs, beach events, and advocacy we do for the Boston Harbor, and the Surfrider Foundation to support the preservation of the New England coastline!